You can sense Australian politicians – or at least a good number of them – fuming at being cobbled together with the counterparts of other states deemed less worthy of the tag of “stable”. Take, for instance, entertaining Italy, tenaciously temporary about its leaders. The Italy of the antipodes (without the colour); a state so obsessed with leadership change that it requires a session of bloodletting every two years or less. This is a country incapable of keeping stable governments, a state where the party system holds true over democratic instincts. 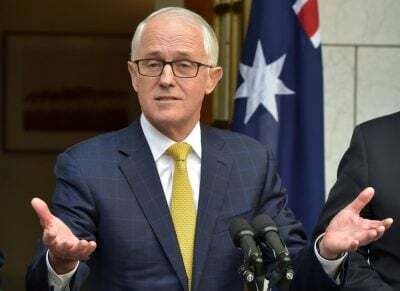 The pack mentality of committing parricide has come to the fore again, with Malcolm Turnbull facing the last hours of his prime ministership. Turnbull has fought, setting his own expectations before the coup plotters: show that there is enough support for a new leader. Forty-three signatures were required, thereby outing the plotters. (At this writing, the forty-third signature has been obtained.) For such anti-Turnbull figures as Senator Eric Abetz, this was simply poor form: how dare the Australian prime minister ask who was being disloyal? The other demand from Turnbull was getting advice from the Solicitor General on the eligibility of his executioner-in-chief Peter Dutton to continue to sit in parliament. The issue there is whether Dutton has benefitted from the commonwealth in a way that is in conflict with his duties as a parliamentarian. That advice, needless to say, has been unequivocal. Only the High Court could rule on that with any certainty. For these political creatures, the party ballot comes before the electoral vote, a situation that has an odd echo of the Holy Roman Empire rather than a modern democracy. This, in the absence of wars (at least internal ones), disruptions to the local currency, and a collapse of the financial system, suggests a certain suicidal eccentricity on the part of Australian politicians. It has been a disastrous sequence of events for that unfortunate system known as Australian democracy. As it lurches to the next faction (the Founding Fathers in the United States had much to say about those, establishing a Republican system that would prevent this nonsense), we face the prospect of the executive being decapitated yet again. The genius of the US example, at least, was to keep the executive out of Congress’s way, an effort to make sure that checks and balances prevailed in the unruly viper’s nest of politics. Now, the round robin word cycle replays itself before the heralded execution of yet another Australian prime minister. We are told that it has been a good government with sound policy (no mention of defeats in the Senate of key policy positions are mentioned). There have been good achievements, evidently so profoundly effective as to warrant an assault on the leader. In the distance are the drum banging shock jocks, populist town criers in the employ of the Murdoch press and associated lobbies ever keen to jockey for positions. Sky News has become a fox hole of determination against Turnbull. The Australian has become a front line position of assault. Peta Credlin, Abbott’s long time iron maiden advisor and bull ram, has been lobbing grenades into the Turnbull camp with a satanic fury. The party of contenders, bickerers and potential stealers is getting crowded. Turnbull might take some heart from this: a larger field limits the options and minimise Dutton’s chances. Treasurer Scott Morrison has nominated; foreign minister Julie Bishop is also considering. The former Nationals leader and permanent media surfer Barnaby Joyce is giving Turnbull advice to stand in the second ballot as a matter of moral duty. Turnbull, however, does not intend to contest the ballot, thereby leaving the way open to any of the three. Outside the Liberal Party, the Labor Party is breathing heavily, aroused by the prospects of snatching power. The Greens leader, Senator Richard Di Natale felt sour. It is such faffing indulgence that costs democracies dearly, lending a helping hand to authoritarian tendencies while unmasking the true power dynamic at play in the Westminster system. It has also crowned the populist barkers and howlers, letting Murdoch know how close he is to the centre of that bubble known as Canberra. Turnbull would have been best served to take the matter to the Governor-General, declared the situation untenable and called for fresh elections. Instead, we bear witness to a puerile, party game, short-termed, governed by the crudest of self-interest and a desperate desire to preserve seats. It has let the desire for vengeance and the streak of cowardice prevail over the functions of presentation. (Exeunt the Australian voter!) Turnbull has delayed and aggravated his would-be executioners, but the time has arrived. With each orchestrated fall comes the reckoning about possible change. Should there be fixed four-year terms of parliament? One way of saving the system might be to save the executive, and the only way to save the executive from the trivial, poll-driven mutilations of party hacks will be for Australia to become a republic of some sort – or at least one where the executive has a separate political line free from severance. But that would minimise the all-powerful position political parties have in Australia.